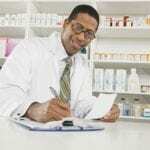 Although pharmacy technicians in Ohio do not need a license to practice, a prospective technician must either complete an employer-based training or become nationally certified through the Pharmacy Technician Certification Board (PTCB) or other national certifying agency. Legislation may soon require technicians to register with the Board of Pharmacy and obtain a license to practice in response to growing instances of opioid abuse. Licensing will also help the state keep track of technicians who commit acts of abuse or theft, says the executive director of the Ohio Board of Pharmacy. Pharmacy technician programs are approximately 6 to 12 months and equip students with the knowledge and skills to practice within the industry guidelines. They also prepare students for success in the national certifying exam. 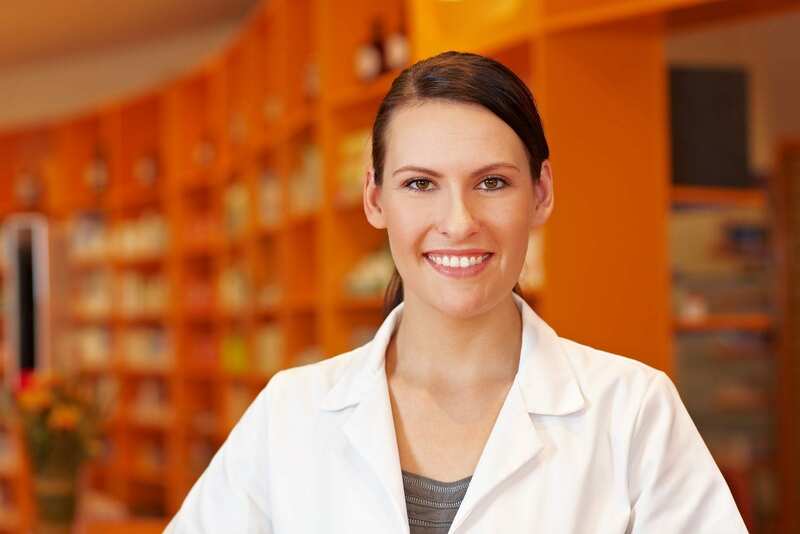 Pharmacy technicians play a major role in helping patients live happier and healthier lives. They work in retail pharmacies, mail order pharmacies, hospitals, long-term care facilities, and anywhere medication is dispensed. The demand for pharmacy technicians is expected to increase substantially through 2020 as a result of new drugs, the aging population, and a nationwide shortage of registered pharmacists. The Pharmacy Technician Program at Columbus State prepares students for an entry-level position as a pharmacy technician in just one semester. Students complete 10-credit hours with four classes and are prepared for success on the Pharmacy Technician Board Exam for professional certification. The curriculum, comprising of classroom lecture and clinical experiences at a community or hospital pharmacy, teaches students how to maintain and stock inventory, screen medication orders and prepare medications for dispensing. They also learn how to perform dosage calculations, provide excellent customer service, and adhere to federal and state requirements for the profession. The four modules are Concepts for the Pharmacy Technician, 21st Century Workplace Skills, Basic Health Care Analytical Concepts, and Customer Service and Sales. Prospective students must attend a mandatory information session and take a background check and drug screen. Tuition for the program for Ohio Residents is $135.93 per credit plus fees and expenses for books and supplies. The Pharmacy Technician diploma program at Everest College prepares students for an entry-level position in a community or hospital pharmacy or any other setting where medications are dispensed. The curriculum combines academics with clinical experiences in the areas of pharmacy administration, anatomy and physiology, nutrition, pharmaceutical calculations, medical terminology, digestive, respiratory and reproductive systems, and health care systems. Students also develop excellent customer service, communication, and interpersonal skills needed to interact with the public and mathematical and organizational skills needed to calculate dosages and manage inventory. Tuition for the 33-week program is $14,009 plus $1,071 for books and supplies. Graduates of the pharmacy technician training program at Heritage College are prepared for entry-level employment in a pharmacy setting. The comprehensive curriculum features instruction in the classroom as well as opportunities to practice in a simulated lab and a real-world setting. Topics covered include, but are not limited to, pharmacy law, IV drug preparation, medical terminology, drug compounding, and pharmacy law. In the clinical setting, students will work with prescriptions and over-the-counter medications, create prescription labels, count medication into containers for dispensing, maintain patient records, answer questions in person or over the phone, verify prescription information, and assemble a supply of patient medication. They will also learn how to maintain a clean and safe environment, prepare medications that are not available commercially, store medicines, and prepare sterile intravenous medications. Tuition for the 34-week program is $14,610 plus $890 for books and supplies. American National University prepares students for an entry-level position in a pharmacy setting by teaching those skills necessary to support licensed pharmacists in a healthcare setting. Graduates receive a diploma and are prepared to sit the Certified Pharmacy Technician (CPhT) exam offered by the Pharmacy Technician Certification Board (PTCB). The curriculum provides a solid foundation for students who plan to pursue an associate’s degree in medical assisting. The program covers a wide range of topics including medical terminology, basic chemistry, pharmacy law, pharmacy procedures, pharmaceutical calculations, compounding, and IV preparations. It will also emphasize drugs and their applications, supporting the pharmacists in the preparation of prescriptions, administration, maintaining patient records, preparing insurance claims, and managing inventory. American National University offers convenient and flexible day and evening classes, personalized instruction, dedicated instructors with real-world experience, and access to career services. Full-time students complete the program in just 10 months. Tuition for the program is $20,130 plus $2,700 for books and supplies.